What’s in Your Career Planning Toolbox? From time to time, I like to give you–my loyal readers!–and newcomers an opportunity to see previously posted blogs on a particular subject. When I’ve done so in the past, many of you have commented that it was nice to reread a piece or read one you’ve missed without having to search around. So, without further ado, today’s topic is you and your fire service career planning and development. Enjoy! 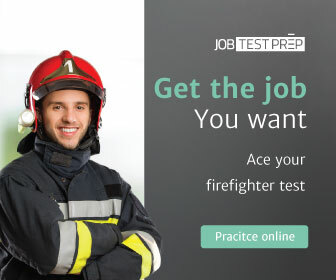 You might just be starting out in your career as a firefighter, but any retiree will likely tell you that their career seemed to go by in the “blink of any eye.” If you think it is hard to get into the fire service, wait until you try to get out; here are things you can do now to navigate that end-of-career change. You may be part of an organization that has numerous opportunities with various fire service career paths outlined, or your department — particularly if it’s a smaller department — may be more limited in what it has to offer for your career development. Regardless of your situation, it is your responsibility to handle your professional development. If there’s a program in place, great, learn all you can about it and get going. If not, here’s how you can create your own plan for your fire service career. Networking is the lifeblood for your professional life, but how can you effectively and efficiently network in the digital age? It can be relatively easy if you have an action plan and that’s my purpose with today’s post: Help you to develop an action plan for your professional networking. So, what is your purpose for getting on the LinkedIn network? Are you looking for a job? Are you starting out to develop a professional network of contacts? Are you looking to expand your “circle of influence”? Or, are you looking for possible solutions for a vexing problem on the job? Well, I’ve got good news: LinkedIn is a multifunctional tool that can help you do all of those things and more. Just like every other tool in our business, however, you’ll get better results from using the tool when you know and understand the tool’s capabilities. What do you say we get started? I loved my jobs, all of them, and I gave 110 percent effort every day. Most of us in the fire service and our brothers and sisters in the other public safety agencies are the same: We eat, breath and live the job. But at the same time, you’ve got to be investing in your future, a “future” that could show up tomorrow. What job(s) would you like to be doing if you suddenly couldn’t be a firefighter anymore? What type of education or training is required for those jobs? Are there opportunities to volunteer with companies or organizations that have those kinds of jobs where you could get some practical experience?